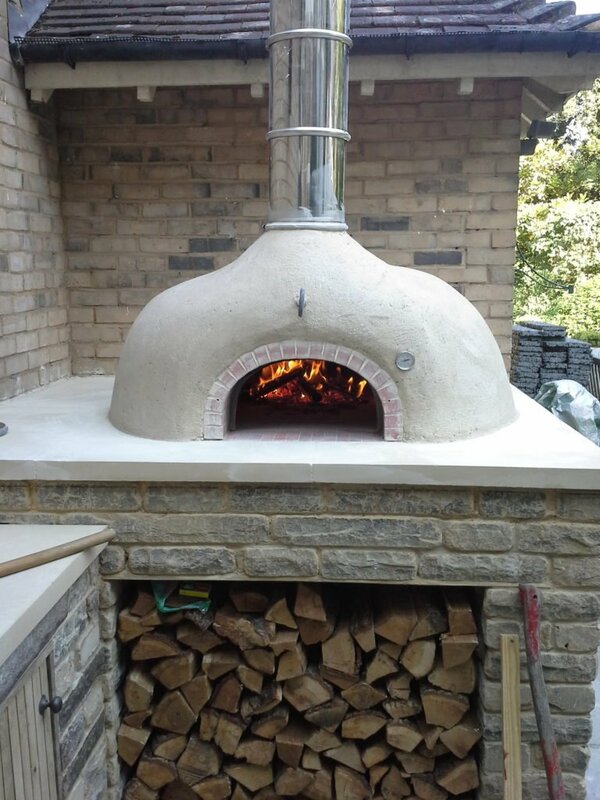 This project from 2014 is in the garden of a large Victorian rectory in Beckenham, Kent. 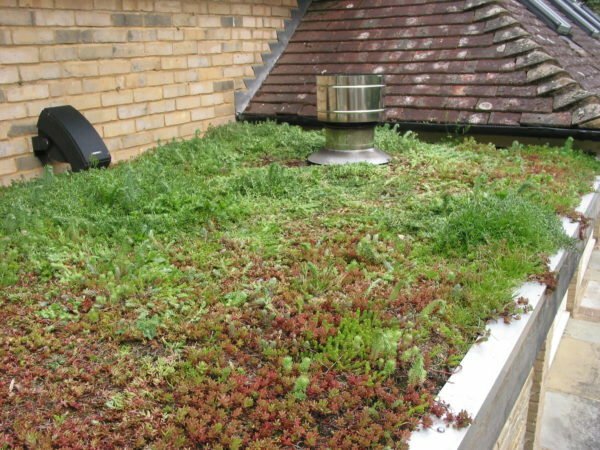 We were asked to come up with a sedum green roof and oven scheme that could fit into an under-utilised space next to the house and adjacent indoor swimming pool building. 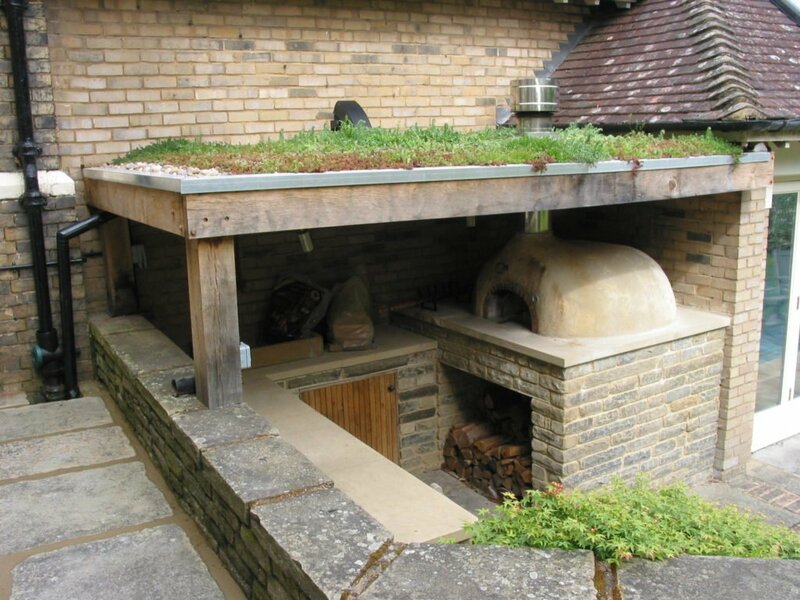 We designed a scheme set under an oak-framed green sedum roof and took advantage of the space being on two levels so the cooking area on the lower level being under cover and the upper level giving easy access for maintenance of the roof planting. The scheme included our largest domestic brick oven, the 950 set on a cropped york stone base with sawn york stone shelf and worktop.